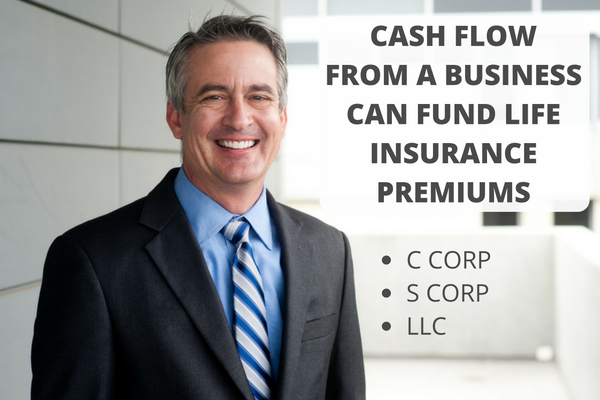 Successful C Corp, S Corp, and LLC business owners often want to use the business cash flow to pay life insurance premiums. These premiums may be for either employer owned polices or for personally owned policies depending on the specific insurance protection needed. Tracking the income tax effect of your business’s cash flow is an important part of understanding how business dollars can be used to pay annual insurance premiums. The summary below highlights important income tax and FICA tax considerations that producers should understand when selling business or personal insurance to business owner clients. For policies owned by the C Corp or QPSC: The premium is a non-deductible expense to the corporation (IRC Section 264). 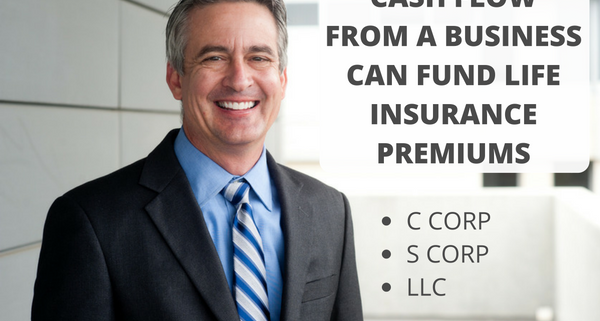 Since the premium is non-deductible, the annual premium amount will be part of the C Corp profit each year. This U.S. Form 1120 profit (net income) will be taxed to the C Corp as a separate tax entity at C Corp tax rates. These rates range from a low of 15% to a high of 39% depending on the amount of taxable profit (net income). Cash flow #1 for policies owned personally by the C Corp owner-employee: If current business cash flow is used to pay premiums, the amount is deductible to the corporation as bonus compensation paid (IRC Section 162). This amount is taxable to the C Corp owner-employee personally as W-2 compensation received. Bonus comp is considered “earned income” and therefore, all the usual FICA taxes (OASDI and HI) must be withheld at both the personal level and the matching corporate level. Cash flow #2 for policies owned personally by the C Corp owner: The C Corp owner can make dividend withdrawals from the balance sheet Retained Earnings to pay premiums. This withdrawal is considered to be a dividend distribution which is not deductible to the C Corp. The dividend is taxable to the C Corp owner as dividend income. For tax year 2016, this dividend distribution is taxed at a rate of 15%-20% depending on the total taxable income of the business owner. For policies owned by the S Corp: The premium is a non-deductible expense to the corporation (IRC Section 264). Since the premium is non-deductible, the annual premium amount will be part of the S Corp profit each year. This U.S. Form 1120S profit (net income) will be “passed-through” as K-1 income to the S Corp owner personally on Schedule E of the Form 1040 U.S. Income Tax Return. Cash flow #1 for policies owned personally by the S Corp owner-employee: If current business cash flow is used to pay premiums, the amount is deductible to the corporation as bonus compensation paid (IRC Section 162). This amount is taxable income to the S Corp owner-employee personally as W-2 compensation received. Bonus comp is considered “earned income” and therefore, all the usual FICA taxes (OASDI and HI) must be withheld at both the personal level and the matching corporate level. Cash flow #2 for policies owned personally by the S Corp owner: The S Corp owner can use some end of year distributed K-1 pass-through profit to pay premiums. As stated just above, this K-1 profit is taxable to the S Corp owner personally. However, this S Corp profit is generally considered to be unearned passive income and therefore, is NOT subject to the FICA taxes levied on earned income. Cash flow #3 for policies owned personally by the S Corp owner: The S Corp may have a previously taxed profit account, known as the Accumulated Adjustments Account (AAA) for tax accounting purposes. This AAA is the cumulative amount of any previously taxed S Corp K-1 profits from prior years that have been left in the S Corp. A tax-free withdrawal can be made from this previously taxed AAA to pay for personally owned insurance of the S Corp owner. The AAA will be adjusted downward by the amount of the withdrawal. There are no FICA taxes on AAA withdrawals which have been previously taxed as unearned income. For polices owned by the LLC: The premium is a non-deductible expense to the LLC (IRC Section 264). Since the premium is non-deductible, the annual premium amount will be part of the LLC profit each year. This U.S. Form 1065 profit (net income) will be passed-through as K-1 income to the LLC owners personally on Schedule E of the Form 1040 U.S. Income Tax return. LLCs are generally treated as partnerships for income tax purposes. Cash flow #1 for policies owned personally by the LLC owners: If current business cash flow is used to pay premiums, the amount is deductible to the LLC as guaranteed payment compensation. This amount is taxable income to the LLC owners personally as compensation received. Guaranteed payment comp is considered earned income and therefore, subject to self-employment FICA taxes. Keep in mind the OASDI earned income limit for self-employment FICA purposes. Cash flow #2 for policies owned personally by the LLC owners: The LLC owners can use some of the distributed K-1 pass-through profit to pay premiums. As stated just above, this K-1 profit is taxable to the LLC owners personally. However, LLC profit is generally considered to be unearned passive income and therefore, is not subject to FICA taxes levied on earned income. Cash flow #3 for policies owned personally by the LLC owners: The LLC may have a previously taxed profit account, known as the Capital Account for tax accounting purposes. This Capital Account is the cumulative amount of any previously taxed LLC K-1 profit from prior years that have been left in the LLC. A tax-free withdrawal can be made from this previously taxed Capital Account to pay for personally owned insurance of the LLC owners. The Capital Account will be adjusted downward by the amount of the tax-free withdrawal. There are no self-employment FICA taxes on Capital Account withdrawals which have been previously taxed. (3) the Form 1065 U.S. Return of Partnership Income for LLCs. These returns can reveal potential tax accounting sources of cash flow described above to fund annual premiums for business or personal life insurance.